Central City Brewers + Distillers is pleased to announce that its Lohin McKinnon Single Malt Whisky has won Silver at the 2017 San Francisco World Spirits Competition, in the Whisky category. This comes shortly after winning Bronze at the 2017 Judging of Craft Spirits in the International Malt Whisky Category. 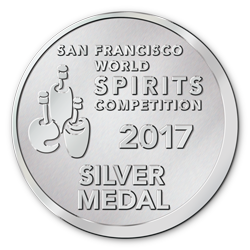 Founded in 2000, the 2017 San Francisco International Spirits Competition is one of the most influential competitions in the industry. With more than 2,253 spirit entries from all corners of the globe, its highly controlled blind tastings and experienced judging panel ensures integrity and impartiality.